Governor General, His Excellency the Most Hon. Sir Patrick Allen (left), presents the Instrument of Appointment to Custos of St. Mary, Hon. Errol Vaughan Johnson, during a ceremony at King’s House in June. 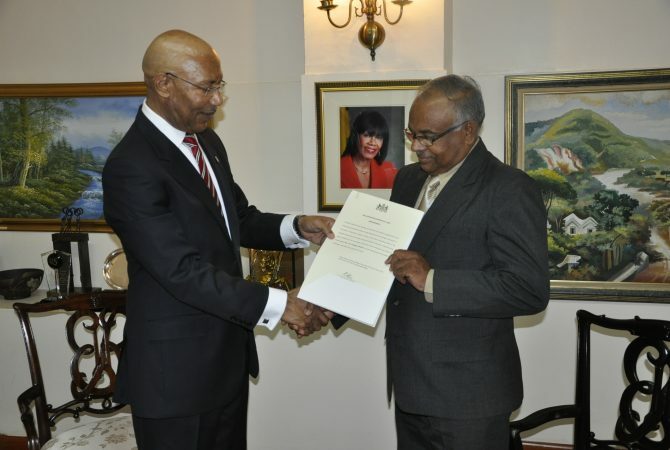 Governor-General, His Excellency the Most Hon. Sir Patrick Allen, is to formally install acting principal of the Islington High School, Errol Vaughan Johnson, as Custos Rotulorum for the parish of St. Mary. This is on the recommendation of Prime Minister, the Most Hon. Portia Simpson Miller. Mr. Johnson was appointed Custos on June 23, following the death of the Hon. Jeffrey McKitty after a period of illness. The installation ceremony will take place on August 20 at the St. Mary High School, beginning at 2:00 p.m. The function is open to the public and guests are asked to be seated by 1:20 p.m. 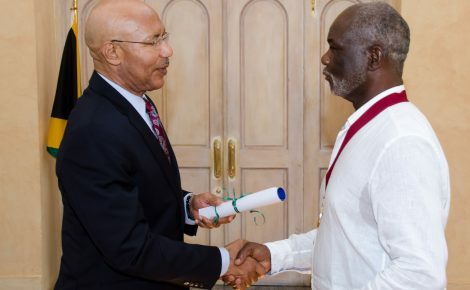 He has been awarded the Badge of Honour for Meritorious Service as well as the Prime Minister’s Medal of Appreciation for Service to Education. A former principal of St. Mary High, he is the recipient of the 2011/12 LASCO Principal of the Year Award. 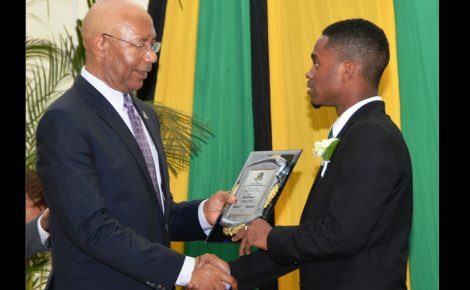 As chair of the St. Mary Group of Principals, he was instrumental in the implementation of an intervention strategy to improve literacy and numeracy at the primary level. 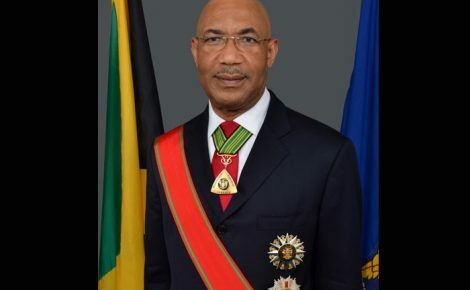 As Custos, Mr. Johnson will be the representative of the Governor-General in St. Mary, and as part of his responsibilities, he will serve as Chief Magistrate for the parish, and ensure that there are sufficient Justices of the Peace to serve the Petty Sessions Court and communities throughout St. Mary. In preparation for the installation of the new Custos, all Justices of the Peace for St. Mary are being asked to sign the Magistrate’s Roll, at the Port Maria Civic Centre Room 1, by Wednesday, August 19. The Magistrate’s Roll will be available for signing Monday to Friday between 10:00 a.m. and 5:00 p.m.